Costumed interpreters lead a school tour at the Gaylord Building in Lockport, Illinois. This 1838 canal warehouse is one of the oldest buildings in northeastern Illinois. 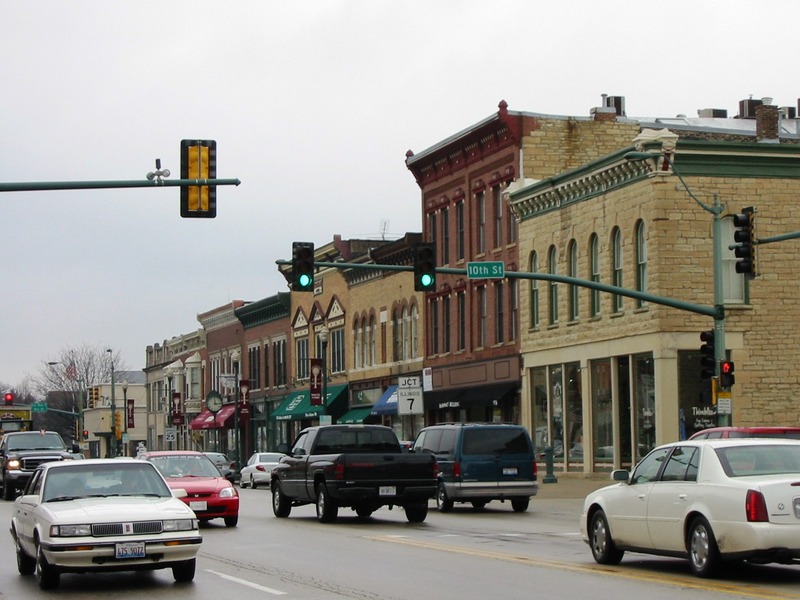 The Lockport Downtown Historic District features substantial limestone and brick buildings, which help make Lockport one of the best preserved canal towns in the country. Lockport (population 15,191) was platted in 1837 by the Illinois and Michigan (I&M) Canal commissioners as their headquarters. When completed in 1848, the I&M Canal stretched from Lake Michigan to the Illinois and Mississippi Rivers, thus forming a critical link in the nation’s transportation network. The community of Lockport became a hub for the transport and milling of corn, wheat, and other crops. To a great extent, Lockport’s fortunes mirrored the rise and fall of the I&M Canal, which, by 1900, had become outdated. New industry arrived in 1911, when the Texaco Company opened a refinery in Lockport, and barge traffic returned in 1933 with the opening of the Lockport Lock and Dam on the Illinois Waterway. The refinery closed in the 1980s, however, and the City has diversified economically, notably through heritage tourism. In 1984, the I&M National Heritage Corridor was designated as America's first National Heritage Corridor. This recognition led to financial and technical assistance for historic communities like Lockport within the corridor. The I&M Canal National Heritage Commission recently provided funds to help Lockport purchase seasonal banners as part of its program of downtown streetscape improvements. The City has also established a Facade Grant Program to promote improvements to buildings in the historic downtown. For the past 34 years, Lockport has held its Old Canal Days Festival adjacent to the canal. Living history demonstrations and guided walking tours of the historic district are among the featured events of this annual community celebration.